For years my childhood was underpinned with adults firing off – “Don’t sit so close to the TV” as if it was something they should say when confronted with a child enjoying the finer points of the Demon Headmaster or Andy Peters in the Broom Cupboard. “Stop watching television and go outside in the sunshine” they’d say. Of course, once outside, any well-meaning parent can’t then take their eyes off their little darling just in case a skinny, white-haired old man commits a drive-by with a bag of Haribo hanging out the passenger window. But take the Child Catcher out of the equation and there were still dangers present in the “sunshine”. Riding my BMX bike without the fluorescent bogey-green plastic helmet bought at Christmas by an uncle and aunt lacking any awareness to a ten-year-old’s fashion sense was dangerous enough, but what about the bullies – the older boys with their fifteen-gear mountain bikes (some even had – oh my gosh – twenty-one gears!). No, I’d rather be in watching Pingu and then Blue Peter (with a short toilet break while – BORING – Newsround has its ten minutes of air time). But maybe the adults are right. Maybe television is bad for a child’s health. Sometimes, it can be a real killer! The following films make up Killer TV: 10 Films Where TV Is The Bad Guy, a list where television is almost certainly bad for your health either metaphorically, physically or both. James Woods obviously never listened to his Mum and Dad about getting too close to the television set. 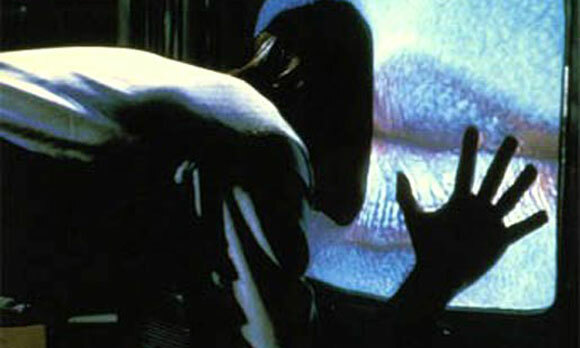 In David Cronenberg’s 1983 classic Videodrome, the TV is not something to be messed with. We all knew those 1980s satellite dishes were dodgy. But someone forgot to mention it to Stanley Putterman whose brand new dish acts as a conduit for outer space’s most evil monster to come down to earth and start chomping on limbs. Television decides to take on the man you generally don’t want to annoy. Arnold Schwarzenegger has a fight with TV – guess who wins? In Paul Michael Glaser’s film, based on Stephen King’s novel, captured criminals are thrown in front of primetime television cameras for a game to the death. The bad guys are offered a glimpse of hope – win the game and claim freedom – but failure to succeed means only one thing: death. Daniel Minahan’s Series 7: The Contenders takes reality television to the extreme. Here the rules of the game are simply – six contenders are randomly chosen to battle, along with the previous series’ winner, to the death in order to win the game. 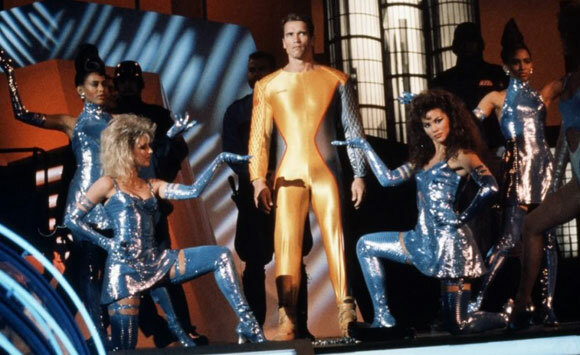 The film shares similarities with The Running Man but plays down the sensationalist aspects of the game show for a more mundane, big brother-style setting. 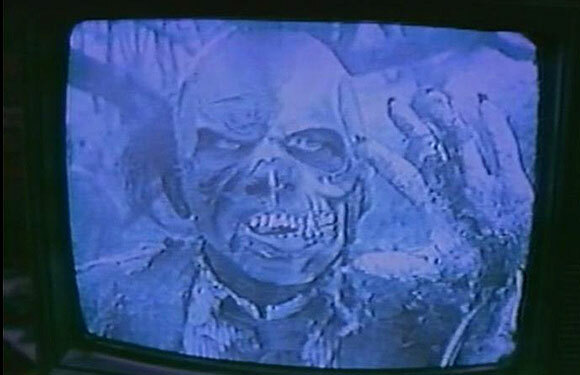 This classic 1980s straight-to-video horror film sees a television that only plays black and white zombie flick Zombie Blood Nightmare. Unfortunately for those unlucky enough to come across the TV’s path, the zombies have decided to leave the film and enter the real world. 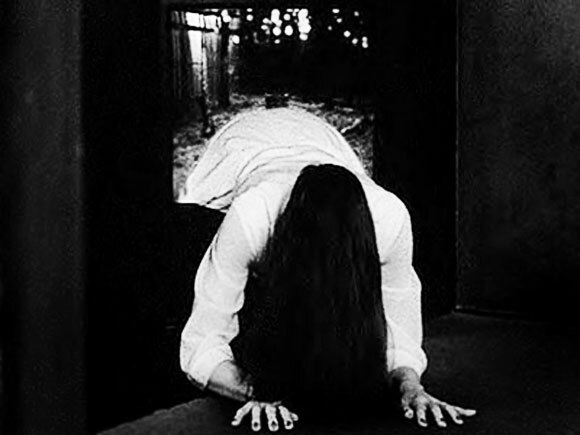 Hideo Nakata’s film might be more about those pesky VHS tapes but the malevolent spirit of girl Sadako needs a good old CRT television screen to crawl out of for one viscerally frightening sequence. 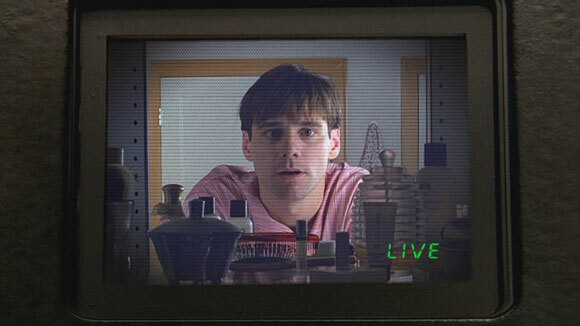 Peter Weir’s thoughtful indictment of reality television sees Jim Carrey give a career-best performance as Truman Burbank, the unwitting star of his own TV show. Believing his world to be real, Truman has lived his life from birth inside a huge television set. Secret cameras track his every movement while actors play his friends and family. 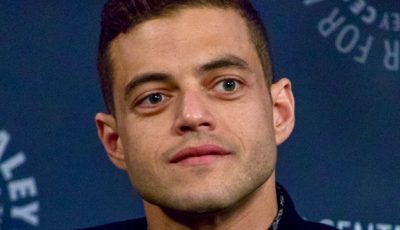 However, Truman begins to question his perfectly constructed world threatening show creator Christof’s control over his leading man. This haunted house tale from director Tobe Hooper (or, if you’d believe the rumours – Steven Spielberg) sees poor little girl Carol Anne get sucked into the television set after her father builds a house above a cave where a crazed preacher led many people to their deaths. Jaws made us all afraid of the sea. Stephen King’s It made us all afraid of clowns. Alien made us all afraid of deep space mineral ore transportation. 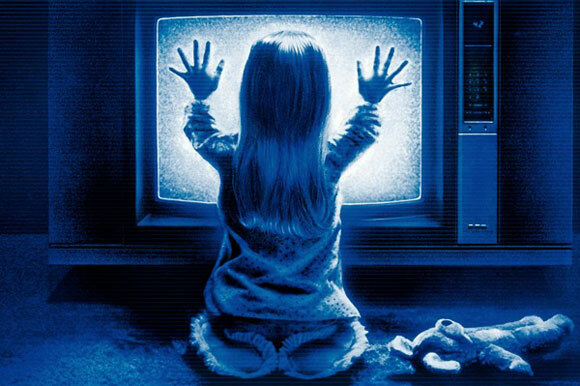 And Poltergeist made us all afraid of television static. Frank Hackett, a boss at TV network UBS has a dilemma on his hands. His attention-grabbing, ratings-king Howard Beale has finally gone a step too far. His fans are dwindling, his celebrity waning, his commercial appeal dissipating. 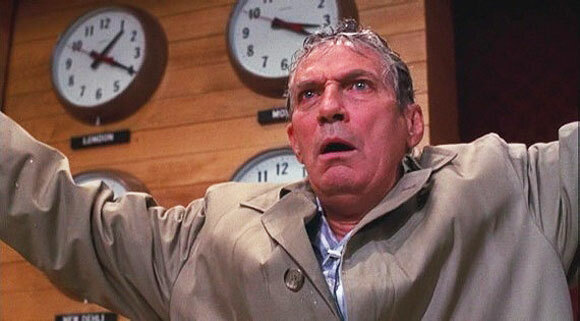 The Howard Beale Show is dead. And now the network has to do something about it despite its chief wanting Beale to remain on air. So Frank Hackett (played by Robert Duvall) believes he has no other option. …and so TV bites back once again. It can make dreams and it can break them. The moral of this story is: don’t mess with it! Your turn – What are your favourite killer TV films? 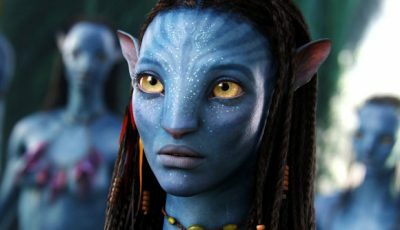 What other films should have made this list? Aaaahh, the Demon Headmaster! He really freaked me out. Out of these I’ve only seen The Truman Show though I know the plot of Poltergeist and Ring. As you’ve clearly demonstrated, there are a lot of films where the TV is the bad guy! PS. I’d always go get a drink or something to eat when Newsround was on – boring! TRUMAN SHOW would get my vote, the others are too creepy for moi 🙂 Although I don’t think Jim Carrey is capable of doing a serious role, he’s talented only for comedy. 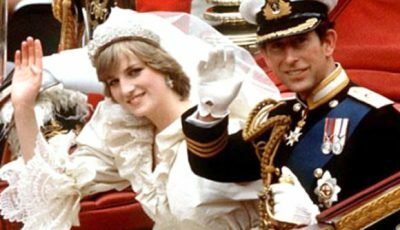 And I agree with you about the original Ring – when that girl climber out of the TV I nearly soiled myself….. brrrr…..
Metaphorically, I would include “Network” on my list simply because it was an early criticism on the insanity that has taken over our precious medium. 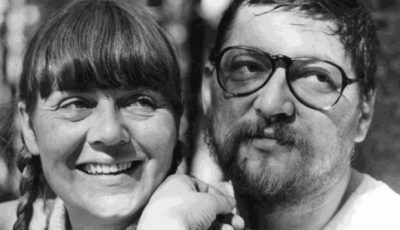 It anticipated by several years the advent of reality / shock tv, where everything shown on television can be considered fair game as long as it brings ratings. Kind of a weird top 10, a bit “out there”, maybe this is why I like it a lot. Good stuff! Good list, Dan. I’m unfamiliar with Series 7: The Contenders and The Video Dead., though. I wonder if they’re available on this side of the pond. I love The Truman Show,it is ahead of its time and still rings true today. Yes! 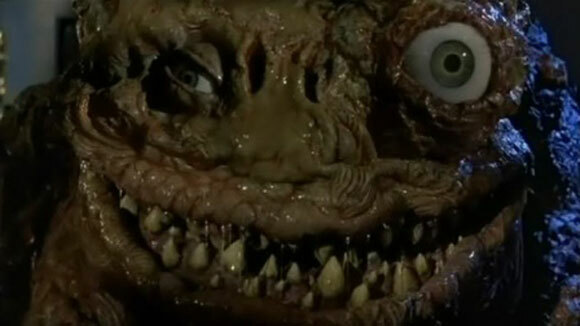 Terrorvision is awesome. Thanks for the shoutout to it, I like seeing it acknowledged that the movie exists and I’m not just crazy. Solid list. Color me not surprised that Wes Craven made it on here at least once haha. Love the line about the various movies scaring us about different parts of reality. Sadly I didn’t see Poltergeist until recently and as an adult I didn’t find it scary. Was a bit of a disappointment. Very interesting list, sometimes TV is literally BAD for you, ahah. Well Poltergeist is definitely one that comes to mind right away, but glad I haven’t seen a lot on this list. The Truman Show is an excellent film however, perhaps my fave Jim Carrey role as he’s not the usual ‘plastic face’ in that one. 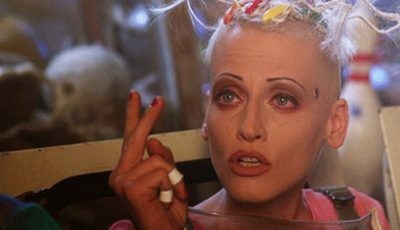 @Dezmond: Although I think Carrey is (or was) great doing his brand of comedy, The Truman Show represents his best dramatic performance for me. Man On The Moon runs it close. @niels: Network was the inspiration for this list. A real forward-thinker and inspirational to some of the films on this list as well as the wave of reality and sensationalist TV we see today. Great film. @David: It arrived just before BIG Brother I think. @Danny: The 1980s was a great decade for films about or inspired by television and televisions. @Scott: The dare is for you to watch Poltergeist on your huge home cinema when the kids are away next! @Evan Crean: It’s the little subtle scenes such as the chairs moving that creep me out. I hate the graphic bit in the bathroom when the cameraman rips his face off. @Ruth: Yeah, it is one of Carrey’s finest performances. Truman Show gets my vote, what an awesome film! Reading The Hunger Games at the moment at it really reminds me of Series 7 and The Running Man. Cannot wait for the film. Hope they play up the TV angle! Great list, I reckon The Cable Guy should be on here as Carrey is nuts due to his hours of lonely TV watching! 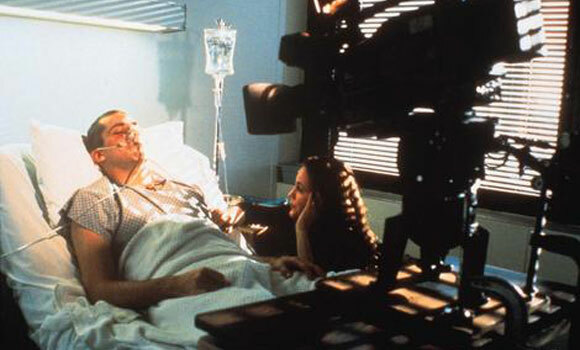 Great list– love your number one, because who can say no to Lumet– but it needs more Videodrome! Both The Truman Show and The Ring were two films that immediately came to mind when I saw the title of this post. Nice list compiled. Videodrome? That’s a pretty sick flick. Would fit right in here! @Andrew and Fogs: Absolutely! Videodrome is one messed up flick…much like a lot of Cronenberg’s output. FZ’s son Dweezil has a small part in The Running Man – he plays a revolutionary (along with Mic Fleetwood) who overthrows the TV guys at the end of the film. The in joke (for Zappa buffs) is that he says “Don’t touch that dial” when they burst into the studio, which is also a line from the above-mentioned song. Rereading FZ’s lyrics, they could arguably be applied to just about any of the films mentioned in Dan’s list. The only film I’ve seen on this list is The Truman Show, which is amazing. Jim Carey really should make more films like that and Eternal Sunshine rather than Mr Popper’s Penguins! 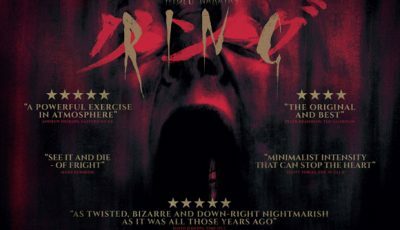 I need to watch the Japanese Ring but every still I see from that film scares the life out of me, and unfortunately I won’t be watching any of the scary films you’ve mentioned here any time soon – way too much of a wuss! What fun ! Number 10 (“Nightmare on Elm Street 3”) was a kick, especially because of Zsa Zsa Gabor’s cameo !! !